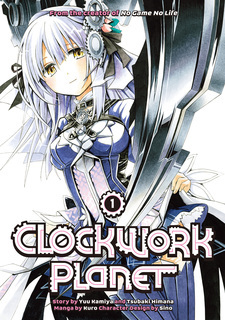 Clockwork Planet has been published in English by Kodansha Comics USA since March 21, 2017. Wow, Wow and possibly another WOW. That's my opinion of Clockwork Planet. 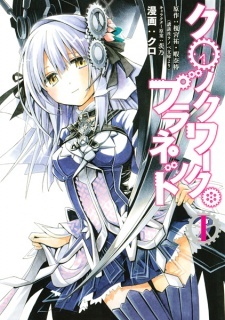 I Found Clockwork Planet whilst mindlessly clicking through manga sites and am i glad i did, i suspect nobody would like to read big blocks of text so i'l keep it short. Now as of the time of this review only 12 chapters have came out but wow the story is quite intriguing, writing any more may be classed as spoilers but i am very excited to see how it plays out. Unless it's very obvious i can't exactly tell if the art is good or not resulting in high ratings for art in everything but oh well. It is very clear and the drawings are brilliant. Loving the characters here, honestly not much to say here apart from how i just really really like the characters. In my opinion this is the most important, whether YOU enjoy it or not is what matters, because of that i have found a few things in life that people said were bad but turned out to be incredible! This is a very enjoyable manga whether you plan to take it seriously or just for some light reading. I will be patiently waiting for upcoming chapters and i hope this review has been helpful to you.